And, although technically the answer is no, Crayola markers are not brush pens, they are still a viable option for creating work with similar effects. Allow me to explain. In a rush? Skip right to the demo video! For these explanations and in the demo video, I will be using Crayola Supertips, Crayola Broad Edge Markers, and a Tombow Brush Pen. Crayola markers are “chisel tipped”, as opposed to brush tipped. So, where brush pens use flexibility to create thick/thin lines, Crayola markers use the tip and the side to create those same variations. This is generally easier to explain with images. Let’s look at a comparison. See how different the Crayola tips look beside a brush pen? Those shape differences make a direct impact on the way you would use them when trying to achieve calligraphy strokes. Crayola markers are a great, cheap alternative to brush pens, though. They come in tons of different colours, and are much more cost effective- especially if you’re a beginner and aren’t sure whether this “calligraphy thing” is for you! If you’re wondering about seeing the difference in action, check out the tutorial video below. 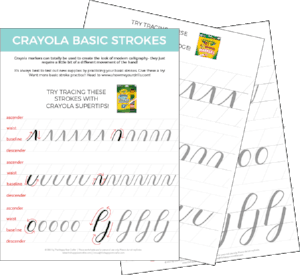 Then make sure to grab the free worksheets at the bottom to give it a try on your own! 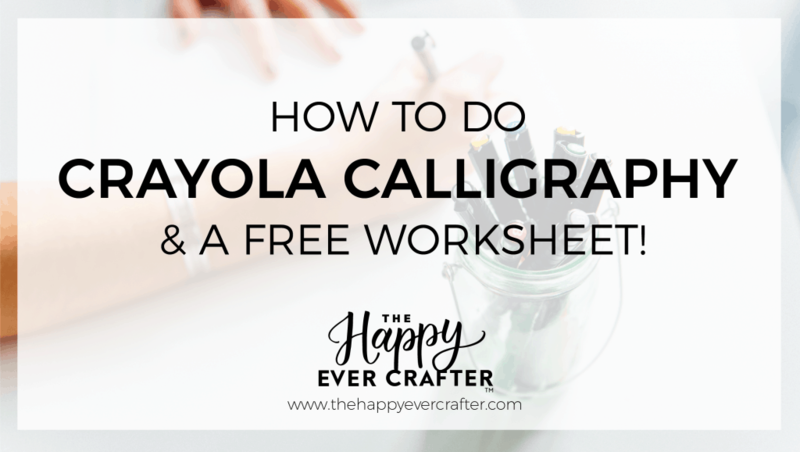 Enter your e-mail below and I’ll send the free worksheets to you right away! Looking forward to the worksheets! Can’t wait to try this.. thanks. Thank you for the worksheets!